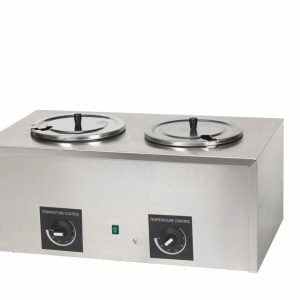 #4416 Hot Shot Electric Candy Apple Stove | Pronto Pup Co., Inc.
Special heating element with infinite control lets you cook quickly and maintain your mixture temp in a “dipping” mode. 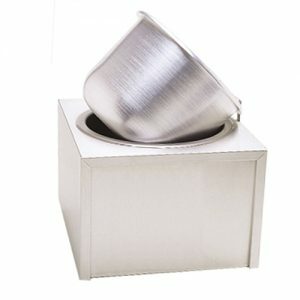 1500 Watts, 15″W x 17″D x 17″H to top of cooking vessel. On-Off switch, plus 6 position fine tune. 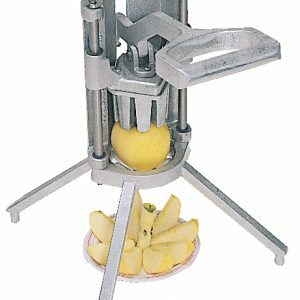 This is a must if you are trying to make the perfect caramel apple every time. Check out our large selection of caramel apple warmers, trays, pans, wraps, flavored mixes and coatings and much much more.